#HBMarchMeet was a smaller affair than our usual meet-ups, but it was by no means less perfect! The relaxed sit-down meal at Al Porto, Hull was just what I needed to take a break from third-year life and chat with some new, as well as old, bloggy pals. 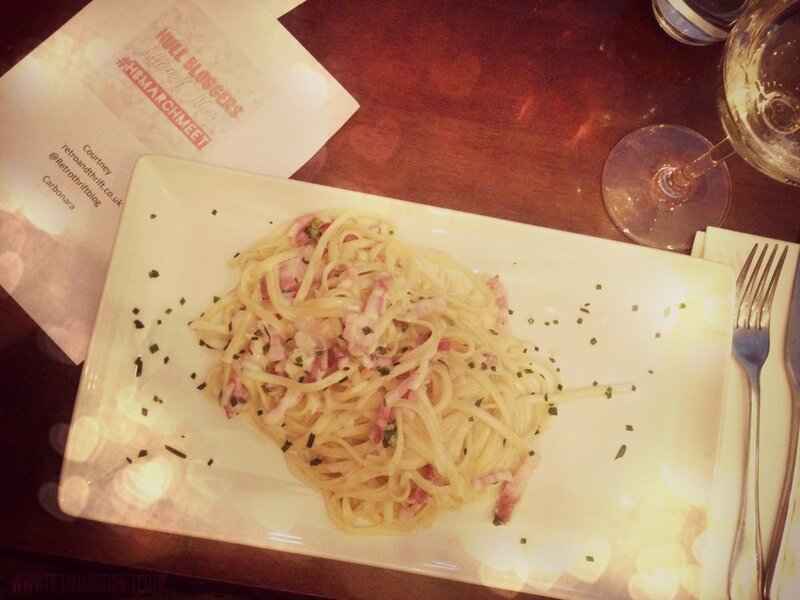 The meal itself was delicious, I ordered the Carbonara, which came in a thick creamy sauce and lovely chunks of bacon. All the other dishes looked great too, many opted for the Winter Salad which came with grilled chicken and lots of tasty veg. After we all struggled home from the summer meet up with 4 huge overflowing (but still amazing) goodie bags, our arms were thankful that we only had one lovely packaged, more modest bag to take home and sort through. You'll probably see some of the products appearing on my blog over the next few months. It's always lovely getting to know new bloggers, although I usually get very nervous so apologies if I came across weirdly at all! Meet-ups like this make me realise how much I love the blogging community and how important it is to me. When I finally graduate I'm hoping to become more involved in the community and help put on some events for these amazing girls! (Psssst give me a shout Hull Bloggers!). and come along to our next meet! 3 ways to support other girls.